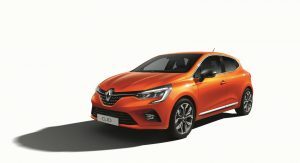 Renault is bringing the heat on the Volkswagen Polo, Ford Fiesta and other B-segment hatchbacks with the fifth generation Clio. 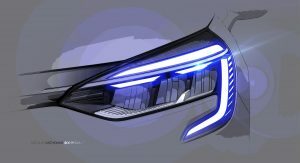 The exterior images released by the automaker only a day after they detailed the cabin reveal an evolutionary styling, which is nonetheless entirely new. 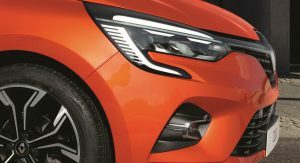 The front end of the car has a bigger grille, a more muscular hood, new bumper and LED headlights with incorporated C-shaped DRLs that resemble those of the Megane. 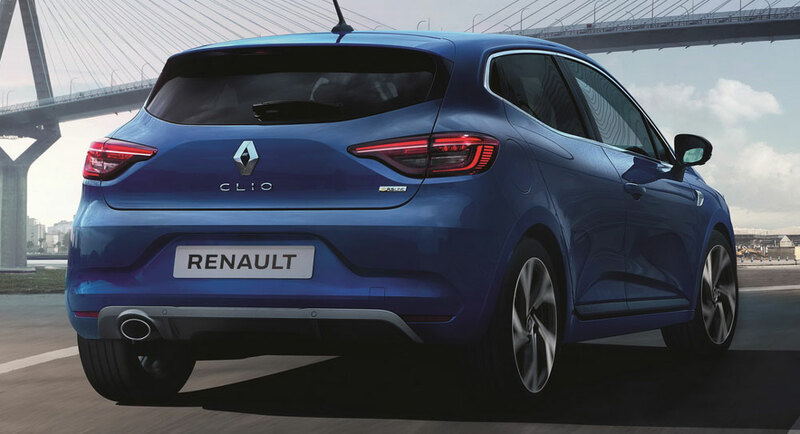 The taillights feature a C-shaped signature as well and the Clio’s sleek profile has been enhanced. 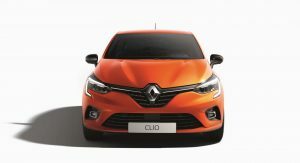 Compared to the outgoing model, the Clio V is 14 mm (0.55 in) shorter and the body has been lowered by 30 mm (1.18 in) to improve the aerodynamic. 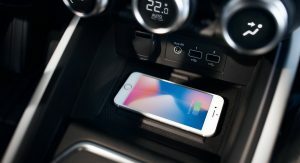 However, despite being slightly smaller, the CMF-B platform has allowed for a clever packaging, which opens up more space for occupants. 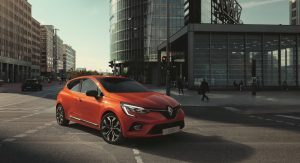 The boot space has increased by 26 liters (0.92 cu-ft), to 391 liters (13.8 cu-ft) with the rear seats in position and is, according to Renault, the largest in the segment. 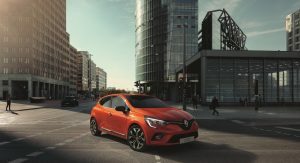 Keeping future buyers warm until the all-new Clio RS arrives will be the RS Line. 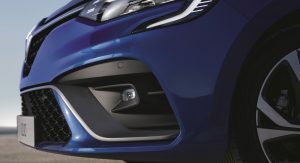 The trim replaces the GT-Line and adds a sportier look to the car, with an F1-like blade, special honeycomb grille, more athletic rear end and new 17-inch wheels. 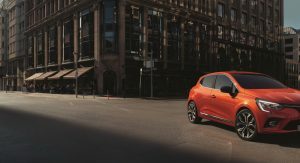 Inside, the Clio RS Line features sports seats with reinforced support, a perforated leather steering wheel, aluminum pedal set, carbon-style inserts and red customization touches. 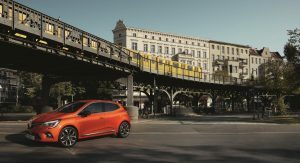 The 2020 Clio will become available in 10 exterior colors, including the new Valencia Orange and Celadon Blue, with three customization packs. 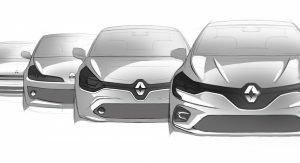 The engine lineup has yet to be detailed, but it’s very likely that the Renault will soon reveal the powertrains available at launch and others that will join the lineup further down the road, such as the already announced hybrid. 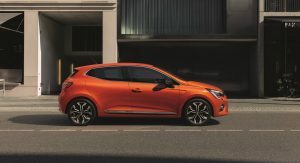 Small car, big personality. Nice evolution from the current gen’s look. 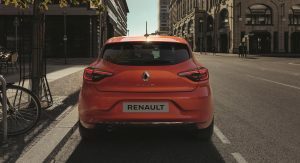 Nice one, Renault! 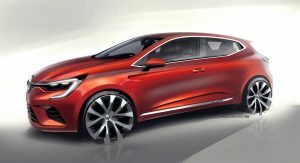 It uses a all-new platform, this is not a facelift at all. 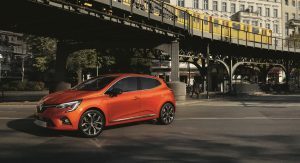 Actually the platform isn’t all new, it’s an evolution of the current Clio’s platform. i’m kind of shocked at how much I like this, it’s perfect design inside and out. shame these aren’t available where I live. 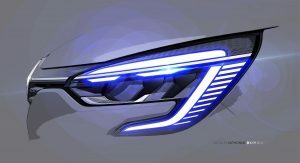 The above article claims that the engine line up hasn’t been revealed when in fact it has, go read the article on the Autocar website to find the answers. 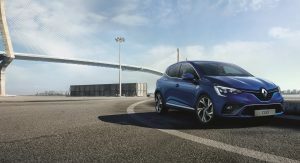 Not the biggest Reanault fan, but I really don’t know what’s not to like about the exterior design and cabin of this car. 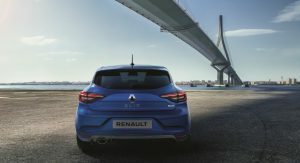 Good job Renault! Boom! Best looking car in its class. 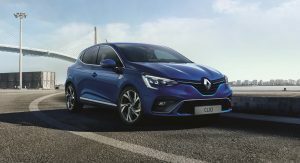 why would anyone visiting a Renault showroom buy a Megane when this is just a few feet away and 4 or 5 thousand euro cheaper. Exterior is conservative but attractive. 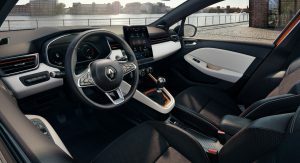 Very good looking inside and outside. 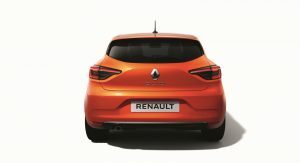 Congrats Renault. 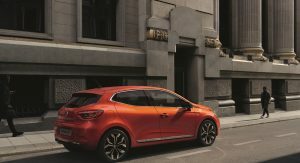 Renault aren’t really efficient in big cars or big engines but they are the FIRST in small city cars. 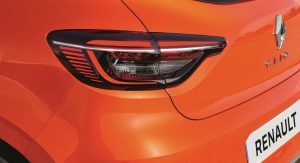 Every generation of cars is more and more generic. 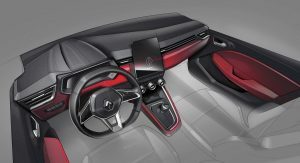 Same body designs, same steering wheels, screens, buttons and air vents in the whole industry. P.S. 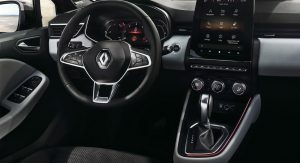 looks like steering wheel and climate control was taken from Dacia, shame Renault….. I dont agree. 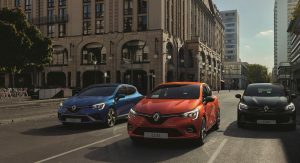 You just named 3 cars that are completly different, inside and out. 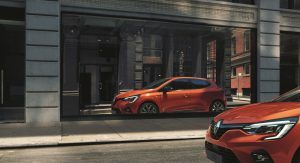 Clio, Polo and Yaris. So I dont see your point, at least in these city cars. To add to this, look within any segment from 15, 30 or 40 years ago. They’ll likely look the same as one another, too. 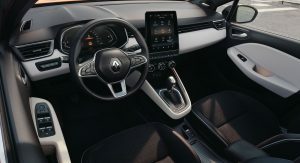 Dacia has a Renault climate control. If it works well what is the problem exactly? 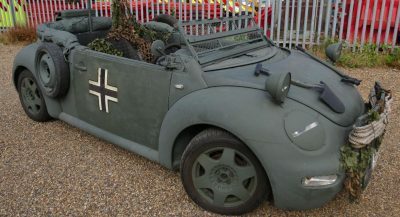 This doesn’t look anything like a Polo, Fiesta or a Yaris. 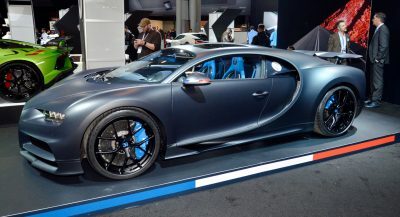 Looks great and still one of the best looking cars in its class, but disappointingly similar to its predecessor. Wow, this Polo looks exactly like the previous one… oh, wait. This Polo looks better than Polo. it’s so easy to look better than a Polo…. Not sure you’re seeing the Polo part about this Polo. 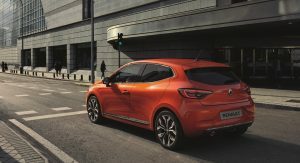 Way to go Renault! I wouldn’t change a winning formula either. 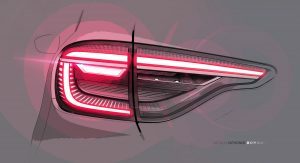 While the exterior redesign is very subtle, I think that each nip and tuck has upped the quality, refined the proportions and added some nice details – such as that concave ‘ripple’ on the C-pillar, behind the window cladding, or the elongated back doors. 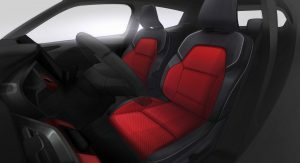 Needless to say, the interior is incomparable to the outgoing model and looks like an enjoyable place to spend time. Finally removing its biggest weakness in the process. 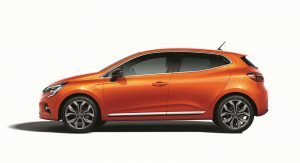 A round of applause for eight more years of a handsome supermini. I hope it still have the short ratio steering, makes it fun to throw around. 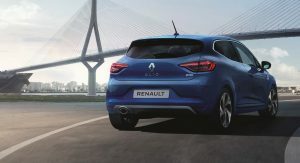 I could definitely trade up my current clio 4 to one of these. 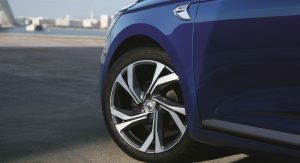 But happy drift days are over with the electric parking brake. I do some e brake slides with mine almost every day during the winter..
It’s a Nice looking design in and out. 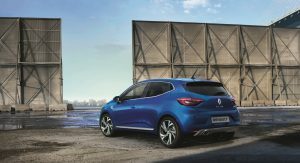 The exterior is all new, but it is a gentle evolution of the current Clio. Which is no bad thing really. Beautiful and with lots of personality. 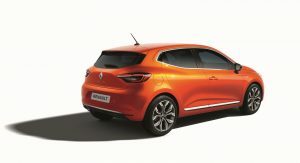 Bravo for Renault, their curent designs are quite cool lately. 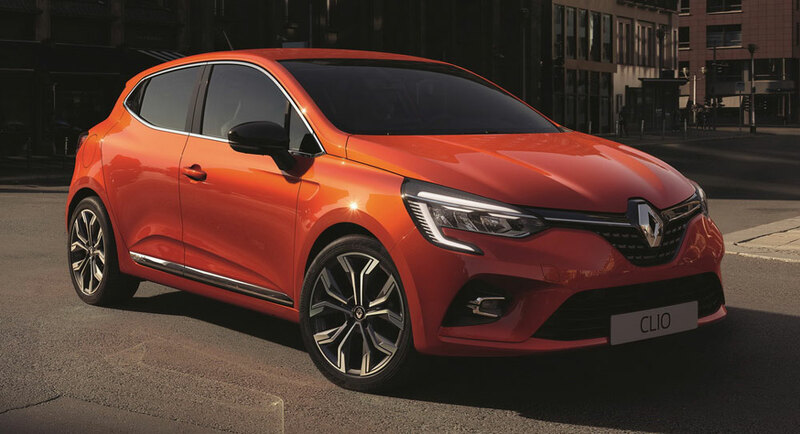 Sleeker, stylish, discrete at the same time. Way better than its predecessor. 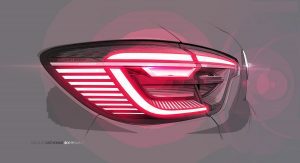 I wouldn’t say ‘way better’ when it so closely resembles the old one, but it’s a very sharp improvement. 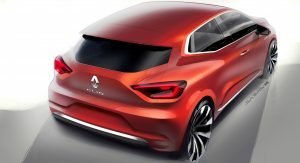 The interior seems way better but the exterior design, which is good, is similar to the current one, renault is usually more disruptive. 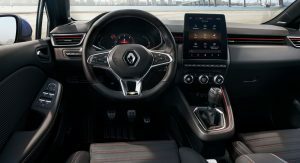 finally an nice interior Renault! 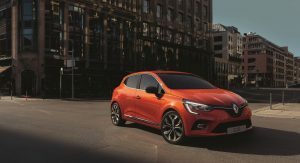 Micra recieved it first, then Clio 5.